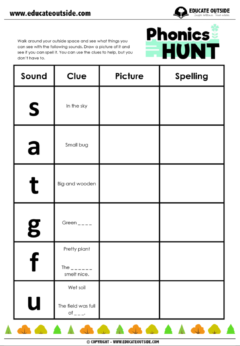 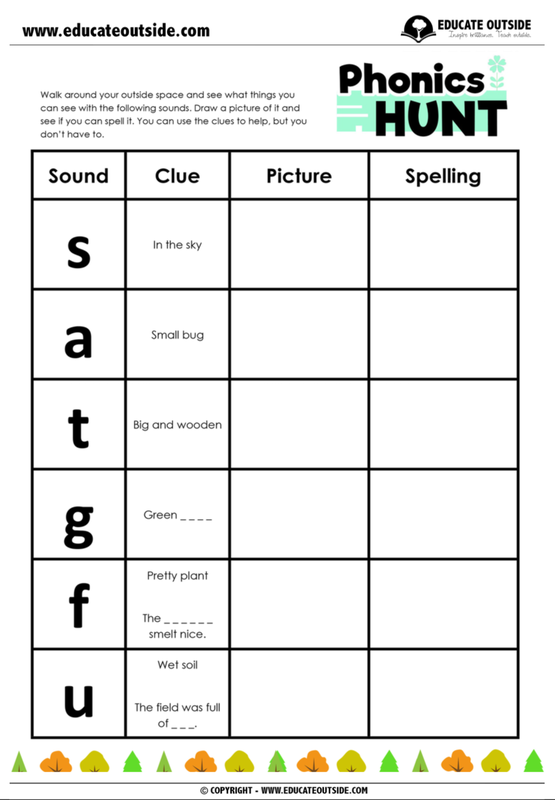 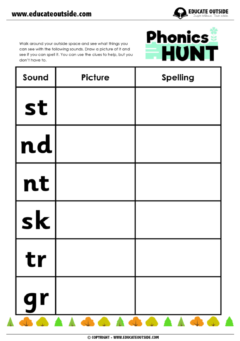 For this “letters and sounds” activity your class will head outdoors to hunt for words containing different sounds. 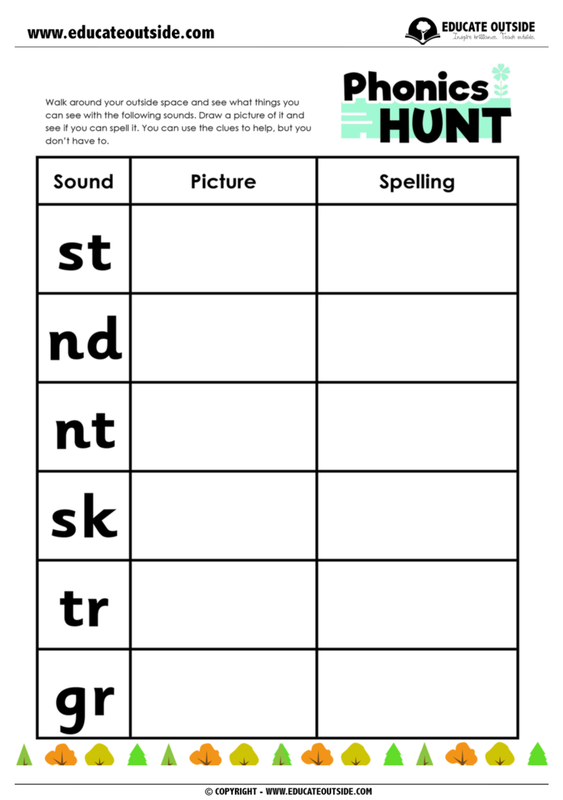 They will then complete differentiated record sheets (some with clues and others without) on which they will write the object name and draw a picture of it. 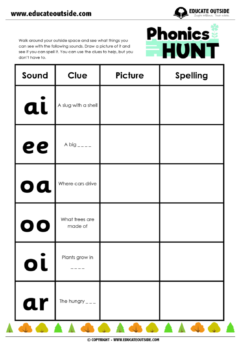 This resource can be used successfully as a starter to a lesson or as a whole lessons activity.